How do you get a person age six to explore and learn about heritage for longer than five minutes? Give them a Museo Pack! Museo Packs are backpacks with activities designed for children ages 6 to 12. 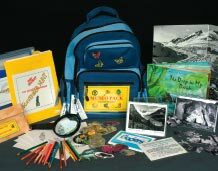 Each Museo Pack has a theme and contains a series of intrinsic learning activities. The packs are developed to inspire, motivate, and teach children (and their parents!) 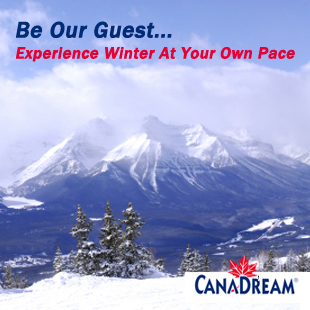 about the history and culture of Banff National Park by bringing history and culture alive. What’s another bonus? Museo Packs are portable! Children can follow their parents through the Museum’s galleries with the packs, resulting in families learning together. Museo Packs are developed by the Whyte Museum of the Canadian Rockies’ Education and Interpretation Department. The packs are available year round at the Museum’s front desk and are included with Museum admission. There are two copies of each themed pack available for use (within Museum only). Museo packs currently available are Glaciers are Go!, Art Adventures!, and The Adventures of Peter and Catharine!